A: See you should assign the menuStyles to the whole submenu (the first item in the submenu). itemStyles you should assign for each item individually. 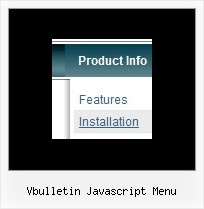 Jan 7, 2009 ... From the vBulletin control panel, on the left navigation menu, expand the " Plugins & Products" menu and click "Manage Products"